Yes, it has been remade and you can go and buy one of those online right now. 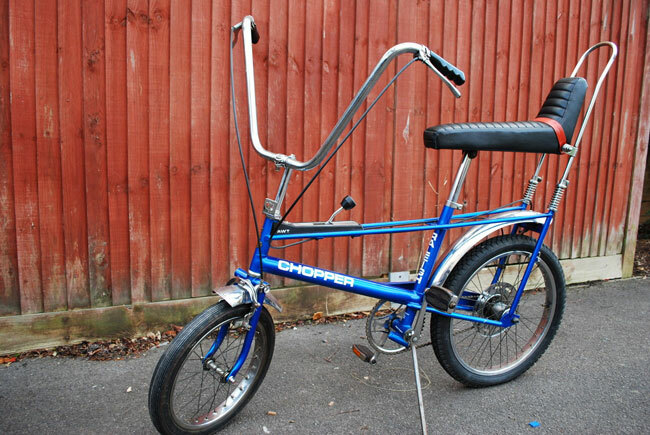 But it isn’t the genius of the original Raleigh Chopper. 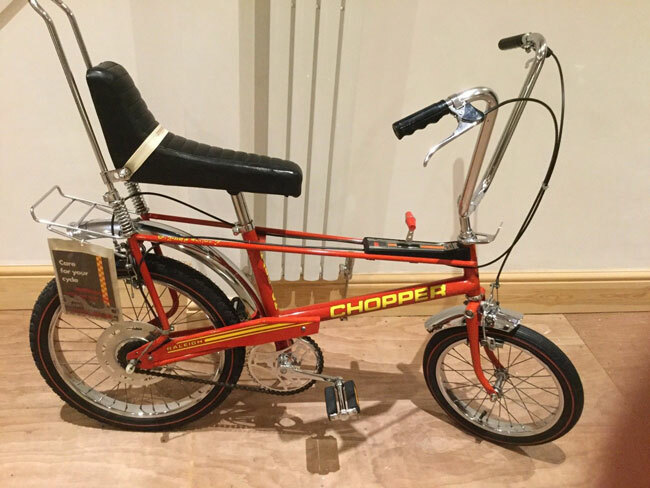 Thankfully some prime examples are available on eBay right now – and in time for Christmas. The slightly tweaked 1980s model is still faithful to the original and in this case, still looking stunning. The one here has been full restored and is in ‘very good condition’ as well as a classic shade of purple. This one is a first generation in blue, with all the original parts. 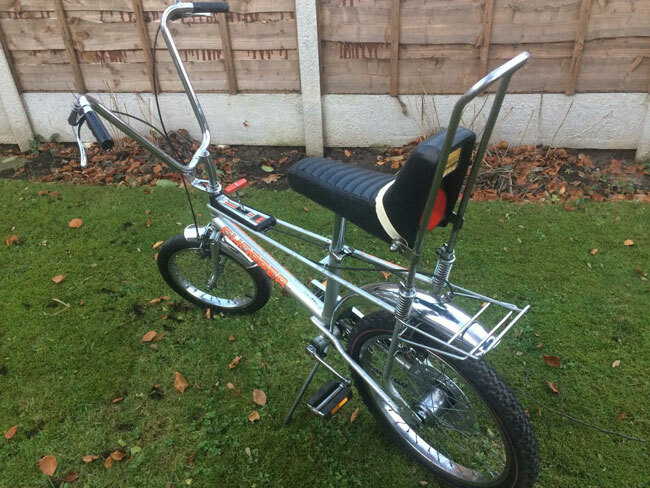 Condition is described as ‘very good’ considering the age, but there is some putting to the chrome, a problem with the rear tyre and a pedal bar. However, rarity still has this on a ‘Buy it Now’ of £1,095. You can make a cheaper bid too. 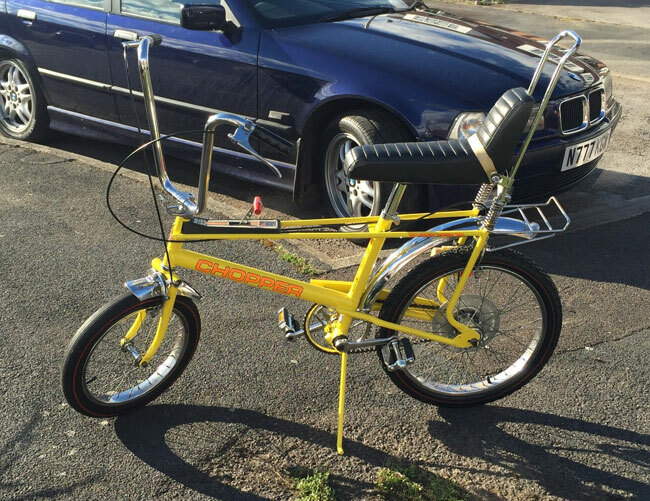 In a ‘fizzy lemon’ colour scheme, this is a bike that has been brought back from the dead. From a ‘box of bits’ to has been blasted, painted and lacquered, checked over and all-new stickers added. Maybe not one for the purists, but cheaper than most at £560. Bidding is brisk for this one on classic orange – and you can see why. 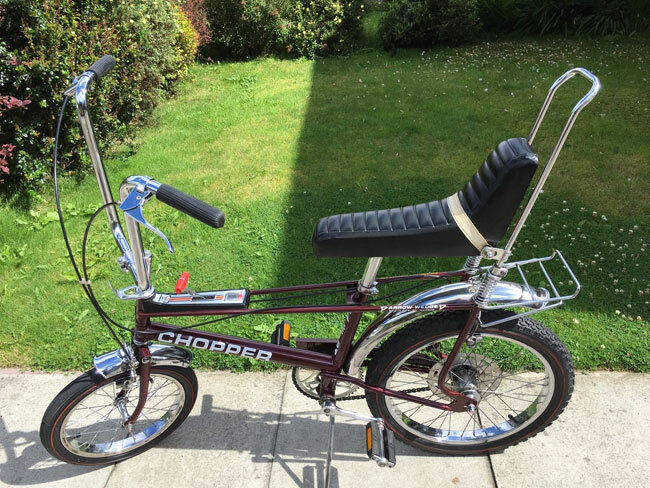 42 years old and in amazingly original condition. No work, no respraying, no parts missing. Just a little bit of wear to the the left pedal and some damage to one of the transfers. Outside of that, this is a gem,, It even has the original and handbook. If you want it, bidding is at £666.66. Not sure if this is a 1970s or an ‘80s model. I think it’s the former. What we do know is that it’s an ‘untouched’ bike with original decals and just one owner from new. Not perfect, with the wheels showing some wear, but it has been cleaned up and looks a decent prospect, especially considering the price against some others. That price is £475 right now. For even more vintage examples, check out all the models on the eBay website.